In Australia, the market ASX pushed higher on Monday, adding 32 points to close at 5846. Resource stocks led the way, with Rio and BHP up 3.4% and 2.3% respectively, and sentiment buoyed by the robust import data out of China. We have consistently maintained that the ability of China to maintain robust levels of growth should not be underestimated, and this continues to confound the bears. I have also written much about the breakout in the ASX200 from a multi-month (and year) trading range – and yesterday’s price action was encouraging in this regard, with the index extending the rally. The index has been capped by the 5850 level for 100 trading sessions, and made a foray above this level intraday. I think it is only a matter of time before the ASX200 pushes up and tests the 6000 level. With “lift” coming from the banks and the resources (BHP hit multi year highs yesterday), 6000+ on the ASX200 is on the cards for later this year or early 2018 in our opinion. It isn’t over till it is over, and across the Tasman, Fairfax Media and NZME were in court yesterday, beginning a fight to overturn a Commerce Commission block on their proposed merger. The trial is set to last two weeks and a minor win saw the two win the right to show a video outlining the mechanics of accessing news through sites such as Facebook and Twitter. David Goddard QC, representing Fairfax and NZME, delivered one of the quips of the day, quoting a remark by President Trump that “having a Twitter feed was like owning The New York Times but without the losses”. Spot on, and times have certainly changed. Let’s see if the high court has a better grip on reality than the kiwi Commerce Commission. Baidu continues to make plans for the IPO of the video streaming entertainment division next year. China’s largest search engine has selected Bank of America, Credit Suisse and Goldman Sachs to steer and market the float. The IPO is targeted for the first half of next year. Baidu is our largest position in the Fat Prophets Global Contrarian Fund and a core holding in our Global Managed Accounts. Nasdaq-listed shares of Wynn Resorts opened strongly overnight, and were up 3.6% in early trading, as high volumes passed hands before the gain narrowed in later trading. The stock has been on a tear in 2017, with the gain yesterday taking the year-to-date appreciation to roughly 65%. Yesterday it was a target price upgrade from Deustche Bank to $161 that provided a shot of adrenalin. We hold Wynn Resorts in the Global Opportunities and US portfolios. Wynn Macau is a core holding in the Global Contrarian Fund. The positive Deutsche Bank call on Wynn is just the latest in string of upgrades from brokerages in 2017 as earnings have been steadily revised upwards. 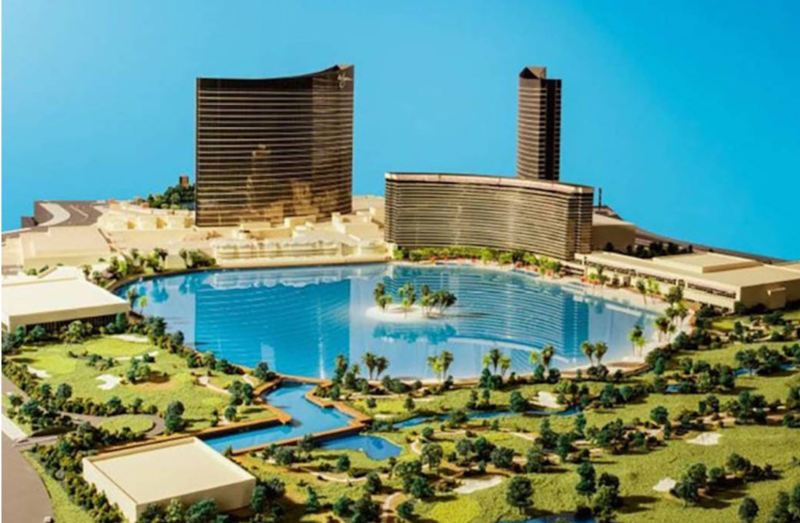 The upgrades have come on the heels of a strong recovery in the Macau market, solid execution by Wynn and traction in the pipeline of growth projects. To briefly revise, Casino gross gaming revenue (GGR) in the world’s biggest gaming hub of Macau grew 16.1% year-on-year to approximately 21.36 billion (US$2.6 billion) patacas in September. That was above the median analyst estimate of 14% according to a Bloomberg polling. September marked the 14th consecutive month that gambling revenue in the region grew year-on-year. The chips are lining up nicely in the Macau casino market, with the 14 consecutive months of growth marking an impressive turnaround from an earlier losing streak of more than two years of declines when Macau faced pressure from a slowing Chinese economy and a crackdown on corruption by the Chinese government. In the third quarter of 2017, Macau gambling revenue was roughly 67 billion patacas, up 21.8% from the comparable period of 2016. And year-to-date Macau’s GGR tally at the end of September of 193.38 billion patacas represents an increase of 18.8% from the first nine months of 2016. With typically good timing displayed by Steve Wynn, the opening of Wynn Palace in Macau last August has seen parent Wynn Resorts share in the spoils of the recovering market, especially at the premium end where Wynn excels. In the second quarter of 2017, Wynn Resorts reported net revenues of $1.53 billion, up around $470.9 million, or 44.5% year-on-year. Wynn Palace was the key contributor to the gain, chipping in $414.7 million. Positively, Wynn Macau (the company’s other property in Macau) also reported a year-on-year revenue increase of $43.4 million and the Las Vegas operations posted an increase of $12.9 million. Group adjusted EBITDA of $430 million in 2Q17 marking a 37.5% or $117.3 million year-on-year increase. Wynn Palace was responsible for contributing the lion’s share of the increase, with some $87.4 million of adjusted EBITDA. There was also an increase of $20.0 million from Wynn Macau and $9.9 million from the Las Vegas segment. Baidu’s hugely popular video streaming platform iQiyi has reportedly given the nod to three investment banks to help arrange a US initial public offering. The three banks referred to in the Reuters publication report were Bank of America, Credit Suisse and Goldman Sachs and the timeline is said to be as early as the first half of 2018. According to iResearch, the iQiyi app was on 610 million mobile devices in July 2017, trailing only Tencent’s Wechat for popularity in China. The total time spent on iQiyi that month was estimated to be some 6.9 billion hours. iQiyi is already the leading video streaming platform in the fast-growing Chinese market and earlier this year inked deal with Netflix to bring some of its original content to Chinese customers, which should further extend its lead at home. An IPO of the unit should unlock some value for Baidu shareholders. Baidu is a core holding in the Global Opportunities and Asian portfolios and the largest position in the Global Contrarian Fund. Baidu is set to report third quarter numbers next week on the 26th and we expect a continued recovery in its core search engine advertising business and more updates on the company’s leading AI (artificial intelligence) initiatives. The shares have rallied over the past few months, gaining roughly 40% over the past quarter following a second quarter result that showed a return to growth in its core ad business. Disclosure: The Fat Prophets Global Contrarian Fund declares a holding in BHP, Fairfax, Baidu and Wynn Macau.